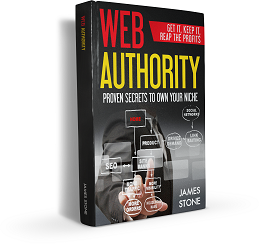 Web Authority by James Stone > Building a Top 10 Website > Does Google Uses the Keyword Meta tag? A lot of you think that the keywords meta tag is extremely important and I have not said so one way or another. There are some reasons why it should be completed and I will never tell you not to complete it. In fact, I’m very clear on using 12 to 15 keywords here. There are a lot of search engines out there, Google is not the only one. But they are the biggest and most important. The truth is that people have spammed this important meta tag for too long and for way too much that in fact, Google doesn’t use it all anymore. What they will tell you is that they do not use the keyword meta tag, but if you still overdo it and spam it with keywords that are not related or use too many, you will be hurting your ranking. In other words, as always, do it right. If you do it right, follow the rules, you’re good to go. Only there is no value to doing so as far as Google goes. But if you do it wrong, it will damage your ranking. The video below is Google’s guy, Matt Cutts, telling you just exactly that. This does not mean that other meta tags are not used. The title and description are still very important. The body and contents of the article are still very important. What this means is that you need to write articles that have value, that are not duplicated, and follow the rules. Have I ever said anything else? I may not always tell you every little tiny reason for the way I teach what I teach, but I* can assure you, if you follow my rules, you will never egt in trouble with Google or any other search engine.